We hope you’ll have a wonderful time here at Upwaltham Barns. Here are a few frequently asked questions but if there’s anything else you’d like to know please call us on 01798 300252 or send us an email. 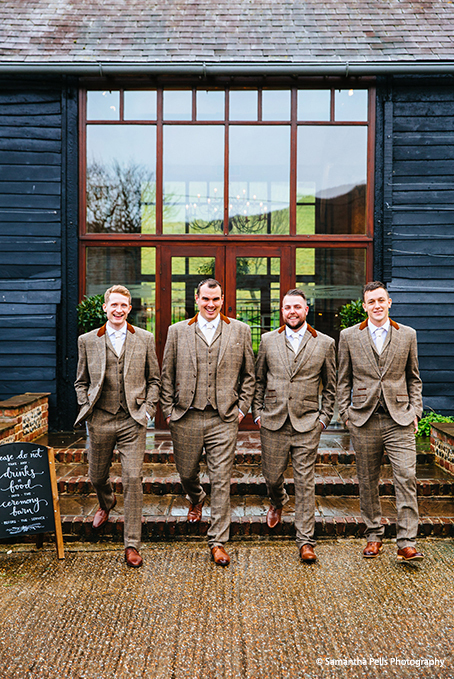 Finish time – Weddings at Upwaltham Barns finish at midnight. We highly recommend pre-booking a taxi for the end of the night. Parking – There are parking spaces for approximately 70 cars leaving the front of the barns clear for taxis and emergency vehicles. Cars may be left overnight but must be collected by 11.00 am the following day. Nearest station – The nearest station is Barnham, which is on the Victoria Line. It is about 15 minutes away and has a taxi rank. Confetti – If you plan to bring your own confetti, please only choose natural petals (fresh or dried). Paper (inc. biodegradable), metal or rice are not permitted for use at the barns. Smoking – There is a no smoking policy within the buildings of Upwaltham Barns. Smoking is allowed outside and there is a lovely heated Moroccan snug outside for guests to use. Ball games –To maintain a safe environment for everyone, ball games are not allowed and a responsible adult must supervise children at play at all times. Travel information (taxis) – It is essential that transport for guests to leave at the end of the evening is organised in advance. Leaving your guests to organise their own taxis on the night can be a frustrating and disappointing end to a great day for them. Arranging for a set number of taxis to arrive at around 11.45 pm will mean that everyone is able to leave by the time the venue closes. Please help us retain good relations with our neighbours and arrange for your guests to leave promptly, quietly and courteously. Upwaltham Barns is located between Petworth and Chichester on the A285 in the village of Upwaltham, West Sussex, next to the historic Goodwood Estate in the South Downs National Park. The venue is available for viewings by appointment and we look forward to showing you around. There is a wide range of accommodation for those staying overnight in the area. Whether you’re looking for a hotel, a country pub with rooms or a B&B you’ll find no shortage of suitable guest accommodation. We have put together a list of local accommodation to help you plan your stay.